Level - 5 announced that Time Travellers will be exclusive to the 3DS however it will now be available for the PS VITA as well as the 3DS. The promising 3DS title “Time Travelers” is making the jump to PSP and Vita. Famitsu revealed that the project will be made available on Sony’s handhelds as well as the 3DS. Thus losing exclusivity. Level - 5 originally announced Time Travelers for the 3DS during a press conference late last year. A good amount of the game’s buzz has been related to the fact that Jiro Ishii would be directing. Ishii has been involved with a variety of acclaimed titles, such as 428. It received a perfect score from Famitsu a few years ago. Was it the dual analogs? Tell us in the comments what you think! It seems Level - 5 will be taking the Konami route by giving extra content to PS VITA players, as Metal Gear Solid 3 was being ported to the 3DS. But shortly after Konami announced that Metal Gear Solid HD Collection will also be available on the PS VITA. 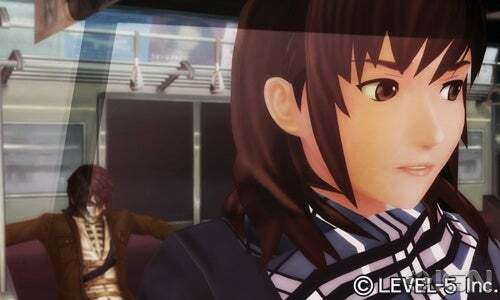 Time Travelers is due out in Japan in 2012. Will this be the first 3DS exclusive to come to the PS VITA? do developers prefer high power over stereoscopic 3D? Why do you think developers chose the PS VITA over the 3DS? leave your opinion in the comment section below!